Several of the private business schools and universities in India offer one-year management programmes for professionals with work experience. Some of these stretch up to 15 months having incorporated international immersions or business projects. Following are some of the well-known programmes. The Post Graduate Programme in Management (PGP) at the Indian School of Business claims to develop global leaders by providing the participants with insights into emerging economies and their unique business challenges. Designed for mid-career professionals, the PGP incorporates practical industry applications with a rigorous, cutting-edge, research-based curriculum. 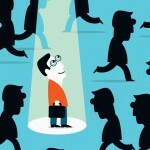 It seeks to enable participants to move laterally into different professional roles, or into roles of greater responsibility, or even set on an entrepreneurial journey. In a span of one year, students get a thorough understanding of the global business issues from resident and visiting faculty, and are equipped to take on challenging roles in some of the best companies in the world. 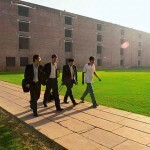 XLRI offers a 15-month full-time residential management programme, PGDM (General Management), previously known as GMP. The participants have a minimum of five years of experience in varied fields like IT/ITeS, Energy/Power, Automobile, Manufacturing etc. The course enables students to grasp the latest in management theory, broadens perspectives and launches them into new avenues of problem-solving. The program also nurtures socially responsible change agents. This programme has various prestigious accreditations including AMBA and AICTE. The course structure combined with the substantial work-experience of the participants makes them highly sought after by the industry post-graduation. The first 3 Terms are broadly focused on to build rudimentary management concepts across all disciplines. The 15 core courses offered during this time include subjects from finance, economics, marketing, operations, strategy, business ethics and sustainable development. The remaining terms of the programme can be customized, allowing the participant to choose approximately 20 different electives. Altogether, 53 electives are available for the students. 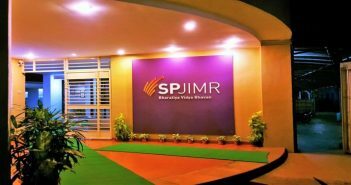 Recognising the need of industry for ‘Thought Leaders’ at middle management level, SPJIMR has crafted its Post Graduate Programme in Management (PGPM). It is an AICTE approved programme with a one-year full-time residential component, preceded by a 3-month off campus blended web learning component. As a career accelerator, it leverages on the participants’ past experiences and aims to create and nurture value-based future leaders. In addition to honing the existing skill sets and knowledge, it also enhances the general management perspective and prepares the participants to take on a broader leadership role. PGPM is for working professionals with a minimum experience of five years and seeking an accelerated growth in their careers. On successful completion of the Programme, the participants will be awarded Post Graduate Diploma in Management (Executive). NMP was the first PG Programme launched at MDI. It attracts executives with diverse experiences and provides them with a holistic business perspective and international exposure. The 15-month Programme, launched in 1987, has evolved into the Consortium Executive Management Programme (Consortium Executive MBA) in partnership with ESCP-Europe. The programme is recognized by AICTE and is accredited by AMBA, the Association of MBAs (UK). It focuses on developing leaders who will excel in the rapidly changing business environment, become agents of change and be charged with a customer-centric orientation. The Executive Post Graduate Programme in Energy Management is designed for young managers of the Power Sector. It comprises a 12-month stay at MDI campus where the participants will undergo rigorous courses for management development and exposure to international practices in Power Sector Management. The programme also includes a 3-month in-company dissertation to integrate thought and practice. The Post Graduate Diploma Programme in Public Policy and Management offers integration of management concepts, tools and techniques with stress on public policy formulation, analysis and implementation, including the design and execution of delivery systems. The purpose is to enhance the sensibility and capability of the participants to better manage the public policy programmes and systems as well as to make them understand the global trends and practices in these areas to allow exploration of innovative options and choices. Great Lakes claims its one-year full-time Post Graduate Programme in Management (PGPM) helps transform high potential professionals into competent business managers and decision makers. Throughout the course of study, an emphasis is placed on developing competencies, team-work and leadership, inclusivity principles and value-based management. Professionals/entrepreneurs with 2+ years of full-time work experience are eligible for the program. It includes Karma Yoga, a unique transformational leadership programme which helps the participants develop leadership skills while working and leaving a lasting impact in 27 villages and the lives of thousands of people. There is also Empirical Study, A one-of-a-kind platform for participants to study and critically analyze a real-life business problem under the guidance of seasoned industry and faculty mentors. It is a one-year residential programme jointly conducted by NITIE Mumbai and IIT Delhi for grooming the emerging leaders for Mid and Senior Level Managerial roles. It is designed for peer learning-driven pedagogy with a strong focus on manufacturing technology, process and leadership. The students will get in-depth knowledge about a wide range of subjects such as Operation & Supply chain management, Strategic planning, Business development, Digital transformation & World class manufacturing. This Programme strengthens the curriculum with theories, tools and models of Breakthrough Management and Five Step Discovery process with workshop-oriented learning and Industrial visits in India & abroad. Post Graduate Diploma in Management (PGDM) Executive is a 15-month full-time AICTE approved and AACSB accredited residential programme for experienced executives. The contemporary course curriculum comprises Foundation, Functional, Internationalization, Customization, Integration and Dissertation, in six phases. It includes customization in the areas of Marketing Analytics, Operations and Supply Chain Management, Information Management and Human Resources. The programme provides participants with the opportunity of a social immersion as a part of the sustainability and social responsibility course. It includes Self-learning Harvard Online Modules, with a certificate of completion. The 15-month Executive Post Graduate Programme is designed for experienced middle-level managers who wish to take up leadership roles in the industry or have been identified by their organizations for such roles. It provides general management and functional area orientation with emphasis on international and cross-cultural exposure. The AICTE approved AMBA accredited programme gives an opportunity for personal as well as professional growth through a rigorous interactive learning environment including a 5-week International study module. The Executive Master’s Programme in Business Management one-year full-time Executive MBA is specifically designed for working executives and practising managers and is as rigorous as the two-year full-time MBA programme. It consists of four terms and the participants will be on the campus for about one academic year.